I received this book from the publisher, in exchange for an honest review and as part of a blog tour to promote it: HERE you will find the complete schedule of the tour’s posts. My thanks to iRead Book Tours for contacting me. This has been a truly weird reading experience, because what started with certain premises transformed, around the midway point, into something else – into several somethings to be precise. But let’s proceed with order. 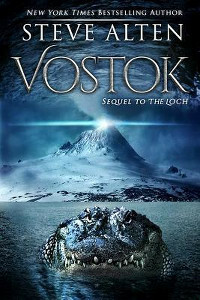 Marine biologist Zachary Wallace, a man who had several brushes with death and as a consequence has developed a serious phobia about going underwater, is contacted for an expedition to Antarctica to explore the mysteries of lake Vostok, a huge body of water buried under polar ice, where the life forms that might still be dwelling there are the same of our prehistoric past. Wallace accepts despite his above-mentioned psychological problems and some serious misgivings about the effects of a prolonged absence on his already shaky marriage, and is soon plunged into an adventure that goes from the discovery of a few incredible scientific facts to the uncovering of multi-layered plots and conspiracies with world-wide scope. As far as beginnings go, this one was promising enough, despite a few narrative “hiccups” due to the author’s penchant for imparting a brusque stop to the story in order to provide in-depth details about a character or a situation: the most glaring example is the chapter-long synopsis of events contained in the previous book, The Loch, so that the reader is brought up to speed about Zach Wallace and everything that happened to him from childhood to present day. I found this narrative technique quite peculiar, to say the least, as was the choice of using a phonetical rendition of the Scottish brogue every time a Scottish national was on the scene. This particular quirk became a little annoying in the not-so-long run, but still I played along because the just-discovered mystery at the bottom of lake Vostok was too intriguing and I was eager to see where the story would lead me. Once the action went underway (or rather under water…) I felt that my patience might have been rewarded, since the exploration of lake Vostok was carried out with a submersible probe whose launch also meant the launch of the promised story: indeed I was somewhat reminded of the Clive Cussler books I used to read and enjoy in the early ’80s, but with a substantial difference. Cussler’s hero, Dirk Pitt, was a square-jawed, larger than life, danger-defying character, wading into peril with almost supreme indifference, while Zach Wallace, with his issues and phobias, not to mention heavy family burdens, is a more relatable individual – flawed, human. His efforts in overcoming those flaws and the courage he’s able to summon when faced with tremendous odds, make him an interesting protagonist and show him off well against the darkening background of the story as some elements come to the fore to show that there is more behind the scientific expedition he’s been enlisted in. An expedition rife with secrets, double-dealings and mysteries within mysteries, including the presence of an artifact of unquestionable alien origin. And here is where the narrative fabric began to unravel before my eyes, because a huge number of elements and sub-plots were introduced, with somewhat tenuous links between each other and the context of the story: conspiracy theories mixed with jumps in space-time; past and present alien visitations and wise aliens watching over wayward humanity; secret organizations and corrupt movers and shakers shaping politics and economy, with the required twisted military thrown into the mix; out of body experiences linking human and alien consciousness, telepathy and so on, including a peppering of extra-terrestrial mysticism – all of the above again related in long, often debilitating explanations about past events and their influence on the present. What had begun as an intriguing and sometimes humorous adventure had morphed into something I could not find a name for anymore. I confess I wondered more than once where all this was headed to, what the author’s intentions might be, and I despaired to be able to make head or tails of it, so I let myself flow with the current, but the damage had been done: the unwritten contract between writer and reader about suspension of disbelief had been breached beyond repair and I found myself falling prey to the strange dichotomy of following the events out of bewildered curiosity, but without the slightest interest for the story’s outcome or the characters’ fate. 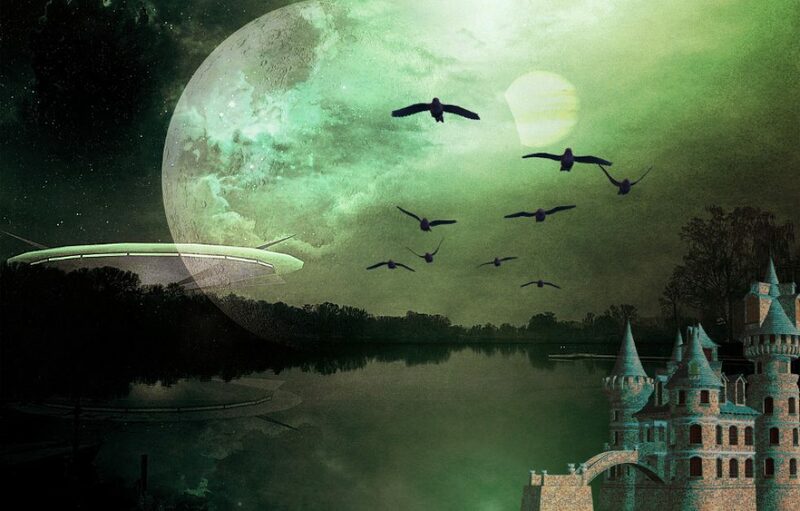 The last straw – mercifully placed toward the end of the book – was the “lucid dream” in which Wallace re-lives (at length and with abundance of detail, of course) the experiences of an alien scientist, involving slavery and exploitation of a people dreaming of a better land and of relocating there after a hazardous voyage, the metaphor complete with the mention of a succession of plagues hitting the place where they were being mistreated. If this sounds biblically familiar… yes, you can rest assured that no myth, no legend, no allegory or tired trope was left unturned for this book. 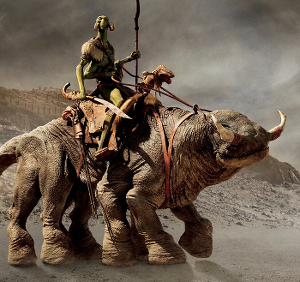 Not a book for me – not with the problems I listed, to which I must add an annoying portrayal of female characters that covered the whole spectrum from cliché (the proverbial nagging wife) to teenager-like wish-fulfillment (a human-looking beautiful alien, raised in a lab and trained in the arts of Kama Sutra? Seriously???). Definitely not my kind of preferred reading material. His first day of work wasn’t what Martin Cunningham expected. A sultry boss, a classy receptionist, the drama-queen foreigner, and a painfully shy techie who prefers hiding to human interaction, was the oddest group of characters he’d ever met. When an assassination attempt is made against his new boss, Martin comes face to face with the stuff of nightmares. This book feels like an introduction to a larger story and to the set of characters that will move in its background, and as such it does a good work of sketching the individual players without giving too much away, leaving further exploration for the next tales down the line. The events themselves are a curious mix of urban fantasy, dark magic and humor: Martin Cunningham, the only “normal” person in the group, is quite believable in his role as the proverbial fish out of water as he’s enlisted by the mysterious Terin Global Corporation for a Public Liaison post – and they do need a PR person indeed, since the core team consists of Jezryall, a fire-breathing demon in human form and her cohort of strange individuals with even stranger abilities that Martin meets in the Corporation’s main offices that look like a cross between a Goth club and a horror movie set. When an attempt is made on Jezryall’s life with the arrival of a strange package, containing a venomous creature ready to hatch, the team launches in hot pursuit of the perpetrators, uncovering a black magic-practicing coven hiding in the Russian embassy. Poor Martin is brought along, in his very first day on the job, and his attitude about the whole, crazy mess is perfectly detailed in this thought: “Planning to attack a group of people who had sharp daggers and zombies, while all they had was a Druid with flaming fingers, a timid medium, and a psychic in stilettos, was, in fact miles above the whole Embassy thing”. This made me both laugh out loud and feel great admiration for Martin who, despite some quite understandable bafflement, still manages to pull through with flying colors (well, more or less…) and with his sanity intact. The caper makes for a quick, at times quite amusing read, and the contrast between the matter-of-fact attitude of Jezryall’s team in the face of such weirdness, and Martin’s disbelief, keeps things interesting – after all the poor guy goes from a normal, boring life to a plunge into the unbelievable in a matter of hours! – but still something seems to be missing, as if some parts of the background information were too muddled to truly help the reader make heads or tails of what is really happening. What I mean is that there is a sort of… unfinished feel to the story itself that kept preventing me from fully slipping into immersion mode and enjoying the story. A certain number of typos and a few characterization choices – like the main bad guy who was something of a cliché – did not help either. Nonetheless, all the above being just a matter of personal preference, I believe there is a definite potential here, one that needs to be fully explored and polished, so it can turn into the enjoyable sequence of stories this promises to be. Of course Tolkien had to be my first source of inspiration, so here we go with SHADOWFAX, chief of the Mearas or Princes of Horses. His coat is silver-gray in daylight and next to invisible in darkness, and legend says he can understand human speech and run as fast as the wind. 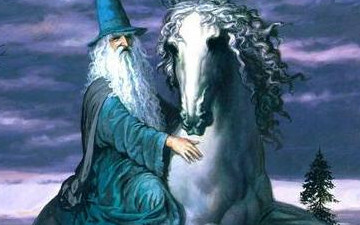 Given, albeit grudgingly, to Gandalf by King Theoden, Shadowfax was wild and untamed and suffered no rider, but the Grey Wizard succeeded in befriending him and making him a trusted comrade in the many battles fought during the War of the Ring. At the end of the Age, Shadowfax went with Gandalf across the water to the Undying Lands. 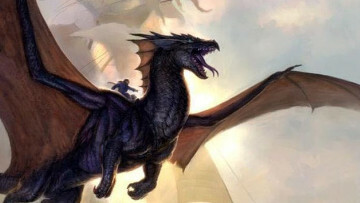 A more fantasy-oriented steed is TEMERAIRE, the dragon from Naomi Novik’s alternate history series. Hatched aboard a British ship that had captured its egg from a French vessel, Temeraire bonded with the ship’s captain William Laurence and they were both recruited by His Majesty’s Aerial Corps to battle against the Bonapartist army. Intelligent, well-spoken and fluent in English, French and Mandarin – this last unsurprisingly, since Temeraire’s rare breed of Celestials hails from China – Temeraire is a mix of childish innocence, deep curiosity and fierce loyalty, that quickly gains him Laurence’s affection and devotion. The first book in this fantasy trilogy, City of Masks, was one of last year’s best discoveries, featuring a fascinating fantasy world in which different cultures co-exist (though not exactly peacefully) and interesting characters move in a well-crafted background. So naturally I was thrilled when author Ashley Capes contacted me with the request of reading and reviewing the ARC for the second book: my expectations were well-founded, because The Lost Mask builds from those premises and widens the scope of the narrative, bringing it to a new level. Where Book 1 focused mainly on three characters – Sofia, Notch and Ain – Book 2 takes a more choral approach to the story, as is only fitting, since the reader’s view of the background expands considerably here. King Oseto is one of the figures that gain from this deeper perspective: he’s a very unusual king, since he prefers a hands-on approach to rule, which is hardly surprising considering his past life, and indeed some of the humorous highlights in the story come from his attitude and his courtiers’ dismay in Oseto’s wish to be at the center of every situation instead of handing orders down the chain of command. There are many problems troubling him and I felt his frustration quite keenly: he wants to be a good king and a just one, as opposed to his father, and unlike the majority of rulers he knows intimately the life conditions of his subjects, but the situation is such that wherever he turns he’s met with frustrating complications and dead ends that make it almost impossible to act as he wants. It’s through Oseto, and his attempts at connecting with the old mask Chelona (the titular lost mask) that we discover a terrible secret tied to these mysterious artifacts, a secret handed down through generations and one that throws a sinister light on them and their use. Flir, the Renovar woman we met as Notch’s friend and ally, is also explored to greater depth: her dedication to Oseto and Anaskar is deep and knows no limits, so that she often puts her life on the line to catch dangerous Vinezi or to put a stop to his threats. There are several hints about her past and concerning some dramatic events that must have shaped her present attitude, yet none of them explain much about her apart from these tantalizing details, but I greatly enjoyed the mix of superhuman strength and gentleness, of single-minded focus and compassion that make her such a fascinating person. One I hope to get to know better in the next installment. All these elements come together into a story whose pace increases exponentially: in the previous book, the author followed the main characters in alternating chapters, while here he shifts to the various situations in quick “flashes” that keep the tension at the highest level and make for compulsive reading. This is particularly true from the middle of the book onwards, culminating in the cliff-hanger ending that literally left me suspended in mid-air (and in dire need of some oxygen, as well…): every single character is last seen at some crucible while a new, unexpected player comes to the fore, and the unexpressed but clearly visible “to be continued” is one of most frustrating experiences I can recall – in a good sense, of course, but still… when does the next book come out???? The universe painted in this future story is an intriguing one: mankind has left its home and expanded across the galaxy, colonizing a good number of planets and establishing an equally good level of technology and living conditions: this is the first detail that meets the eye, an advanced civilization that still manages to feel close to our standards, still human-sized, even though some of these future humans sport fascinating evolutionary traits, such as telepathy. As it often happens with humanity, going into space means that we’ve brought with us our old vices and sins: in such a sprawling expanse of worlds, police work can be difficult or outright impossible, especially where influential corporations and their interests can tip the balance one way or the other and where gifted humans can further muddle the waters. What’s more, there are shadow agencies pursuing their own goals with any means at their disposal, including the literal crafting of a breed of enhanced soldiers/assassins. Mairwen Morganthur, one of the main characters in Overload Flux, is one such creature: the shady Citizen Protection Service heavily modified and trained her to be a tracker, an agent to be sent on secret missions where stealth and killing abilities are required. Mairwen has escaped from the CPS’s clutches and is trying to carry on being as non-descript and low-profile an individual as possible, working as a night shift guard in the La Plata private security organization and keeping her head down to avoid being recognized for what she is. Mairwen is an interesting character: on one side she is exceptionally gifted, having been shaped by CPS into an efficient tracking machine whose perceptions and abilities go far beyond those of a normal human, on the other she’s a heavily damaged person. Her training and past history have put a stress on physical reactions and efficiency, while at the same time negating whatever humanity she possessed: Mairwen is something of a child whose emotional growth has been stunted at best, and the present need to avoid recognition is certainly not helping her in that direction because if she needs to forsake any personal interaction for obvious reasons, she is also closing herself off to any meaningful human contact. The other factor in the equation is represented by Luka Foxe, a crime scene investigator gifted (or rather cursed…) by the ability to see, and therefore reconstruct, the events concerning violent crimes simply by looking at their aftermath. This talent has exacted its toll on Luka, making him a loner, plagued by nightmares of the horrors he’s remotely witnessed and forcing him to distance himself from others. 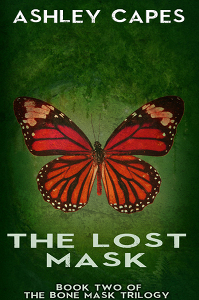 When he’s called into a homicide investigation that will soon transform into the discovery of deeper and more layered plots involving big pharmaceutical companies, Mairwen is assigned to him as security back-up and the meeting of these two deeply injured people gives birth to the backbone of the story. Recognizing their mutual problems on a quasi-subliminal level, Mairwen and Luka are attracted to each other in an almost compulsory way, and the trust and professional respect they are able to build between them soon turns into reciprocal attraction. As fascinating as this is, it also represents – in my opinion – the book’s weak point, because events concerning Mairwen and Luka are too quick, the bridges they build between them are created too swiftly, and the ensuing romance feels somewhat contrived, not as organically paced as I would have preferred. Given the level of psychological damage suffered by these two characters, I expected a longer process between the phases of respect, trust and finally love: Mairwen has negated the existence of her emotions for too long (almost her whole life!) to fall prey to a similar level of attraction, and a more prolonged resistance from her part, to the wave of feelings assaulting her, would have been more believable. The same goes for Luka who, although far less emotionally stunted than Mairwen, still carries a heavy baggage on his mind and soul. Both of them react to attraction in an almost teenager-ish way that belies the maturity of their years and experiences, and this factor spoiled, in a way, the enjoyment I would have had in seeing the romance blossom at a more leisurely pace. Despite these purely personal misgivings, the book is a quick, pleasant, well-written read, complete with engaging secondary characters, adventurous planetfalls, space battles, betrayals and double dealings and a few hints of more to come, in what promises to be a galaxy-spanning series that balances story-telling and technical details in a satisfying way, without ever indulging in too many explanations or distracting info-dumps. 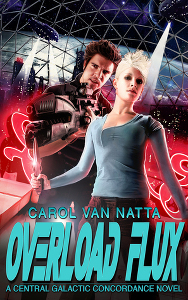 A book that might be also appreciated by readers who are not normally sci-fi oriented. This week’s Tough Traveling was indeed a tough one… Thankfully Seanan McGuire’s October Daye series came to my rescue as the only repository where I could draw some fae information from. In McGuire’s narrative, the fae coexist with humans who are unaware of their presence since they disguise their true form with magic: one of the tell-tales of the use of magic, for those who are able to recognize it as such, is the smell that accompanies its use and is always distinctive for each individual, usually mixing two scents – as, for example, musk and pennyroyal. Pureblood fae often mate with humans and any child born of the union is a changeling, like October Daye: further dilution of fae blood can happen when those changelings mate with other humans, and the fae look down on these people with varied degrees of scorn that are inversely proportional to the quantity of fae blood they possess. Well, nobody said the fae are fair…. They practice blood magic, i.e. they are able to retrieve people’s memories from their blood, even when the subject is dead. October Daye, even as a changeling, has this ability, though it requires a huge expenditure of energy and leaves her with painful headaches. Her mother Amandine, as a full fae, is also able to change the balance of someone’s blood, which means she can turn a changeling into a complete human or a complete fae. They are at the top of fae society, those possessed with unsurpassed beauty and power, the descendants of Titania. 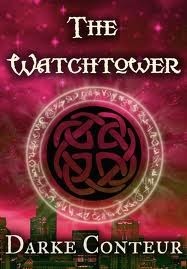 They possess blood magic as well, but only in the sense they can access other people’s memories. Shapeshifters who can either appear as human or cats, they hold a separate court from the other fae and follow their own laws, especially where succession is involved: this requires a bloody fight, where the strongest win and end up holding power. One of the most interesting details about Cait Sidhe is that their court does not possess a precise location and can be reached only by traveling through the Shadow Roads – passages between realities, or universes – where there is no air and it’s deadly cold. They are skinshifters—which means they can shift from seal to human and back by wearing on or removing their skin, and they never stray too far away from the sea, their preferred habitat. The skins are passed on through generations at the death of a Selkie. One of the firstborn offsprings of Oberon and Maeve, two of the highest rulers of faerie (together with Titania), she was tied to the sea and its creatures and she does indeed live near the seashore: she can either appear like an old woman or a young girl and she sports a rough, brittle temper that can hide inscrutable depths – not unlike the sea. She’s one of McGuire’s best creations and a wonderful character that always reserves great surprises. When I wrote my review of the first book in this series, Generation V, I praised its new approach to the genre and the fascinating narrative: this second installment proved even better than the first, and a quick, engrossing read that cost me several hours of (happily) missed sleep. 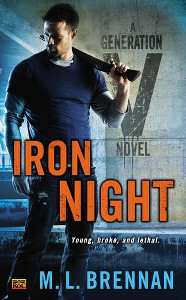 We left Fortitude Scott on an advanced phase of his transition from human to vampire and we find him, a few months later, more comfortably straddling the divide between both worlds: his brother Chivalry has been training him – physically, mentally and in more practical ways as well – to take on his future duties as the son of the powerful Madeleine Scott. Fort has not completely embraced his nature, but he’s more prone to make allowances for it, especially in light of the changes wrought on him by the transition itself. He’s still something of a loser, as testified by his new work environment where he manages to be the target of a crazy chef’s tantrums, but he seems to have grown into his skin, accepting this side of his personality with humorous, self-effacing flair. Part of it is due to his deepening friendship with Suzume the prankster kitsune, who finds ever new ways of tormenting him as a show of affection, and part to his new roommate Gage, a nice and wholesome person, a welcome change from the previous, girlfriend-stealing slob. Gage’s brutal killing, clearly the work of non-human perpetrators, moves Fortitude to take once more the mantle of hero and at the same time to uncover new angles about himself, his past and his family. What starts as a murder investigation with very personal stakes becomes also the exploration of a parallel world co-existing with our own and populated by trolls, skinwalkers and even elves (who are NOT your Tolkien elves, trust me!). Brennan takes the readers into this colorful and dangerous world along with Fortitude: he learns as he goes on, and so do we, in a way that’s both organic and effortless and at the same time leaves quite a few stones unturned – probably for future discovery. This is one of the strengths of the book, that foundations laid in the first novel have been built upon, expanding and adding depth to both background and characters. And characters are indeed the backbone of the story. Fortitude has changed a great deal in the few subjective months elapsed since the end of Generation V: the training his brother Chivalry insists on is building strength and resistance and heightens his senses, but that’s just the tip of the iceberg. The ongoing transition into a full vampire also works a transformation on his personality and his approach to people and situations: it’s clear that Fort enjoys this and is receiving a very positive feedback from this new aspect of himself. If on one side he remains attached to his humanity as a sort of anchor and counterbalance against the worst vampiric tendencies, he’s not averse to using both this newfound strength and the political power deriving from his family connections when the cause feels right. When we first met him, he was in total denial of his true nature – understandably so, considering the bloody price paid by his foster parents when they uncovered the truth – while now he looks more accepting and tries his best to walk the fine line between both worlds, even when it’s difficult or when it encroaches on precious friendship ties. However, the two characters that come into sharper focus are Fortitude’s siblings: what we learn about their origins – and Fort’s – sheds more light on their personalities and the enormous differences among old Madeleine’s three children. Chivalry has always shown a greater attachment to his younger brother and now, while he’s teaching him the ropes about being a Scott, he also exhibits a great deal of indulgence and affection: the detail about Chivalry enduring long sessions with Fort’s favorite tv shows was both delightful and enlightening – not to mention that some of the titles on the list, like Babylon5 and Firefly, had me literally squeeing in glee and unreserved approval. Prudence, on the other hand, comes across as even more frightening than before, when she was simply labeled as a psychotic assassin: when Madeleine sends her eldest to “ride shotgun” beside Fort in a mission, Prudence’s endorsement of her young brother’s new assurance and ruthlessness, and her clear enjoyment in meting out bloody violence, are nothing short of chilling, as is the determination to shape Fort into a mold more similar to her own. The dramatic confrontation on this subject that occurs at the end of the novel holds a few intriguing revelations about vampires in general and the Scott family in particular: it will be fascinating to see how they play out in the following book(s), more so because it’s clear that Fortitude’s inclination to consider both sides of the equation – vampire vs. human – is his main strength rather than a weakness and makes him unique among his kind.